The intimate sonic patterns pulled from Mexico City in Alfonso Cuarón’s Oscar nominated film Roma arrive to our ears as a lifeline straight into the heart of nineteen seventies middle-class family milieu. We enter Cuarón’s childhood with our gaze closely locked on pavement listening to stiff bristles vigorously scrub the tile floor. 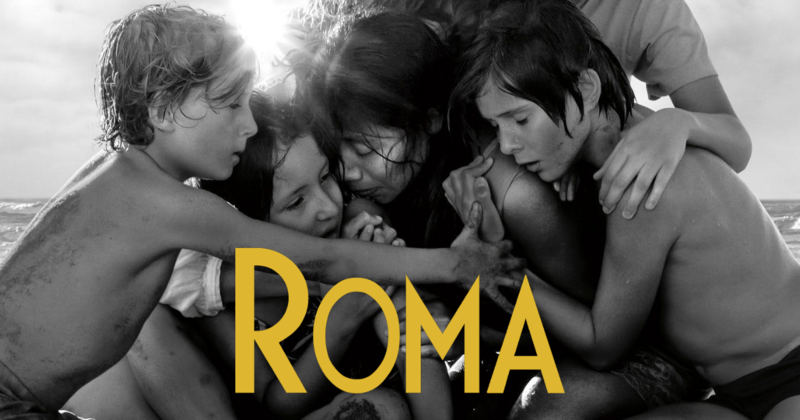 So many events told in Roma occur outside the film frame, outside our direct view. But our ears retrieve what our eyes cannot always see. And the sound that emerges from the space beyond our sight remind us memories are sensorial and this story is all encompassing. We are embraced by bedside lullabies sung by Cleo, the indigenous family worker, drawn closer with the radio tunes of Juan Gabriel’s “No Tengo Dinero”, and comforted by the clank of cleaning dishes. Precisely through Cuarón’s acoustical curation we navigate one of the world’s most complex and compelling cities to access the domestic intimacy of home. Architect and theorist Juhani Pallasmaa stresses the emphasis of sound carrying distant elements close when he writes, “I regard an object, but sound approaches me; the eye reaches, but the ear receives.”(1) Returning to the pavement of the first scene, we understand our surroundings not by looking to the left or right. We understand our surroundings through the arrival of information. The reflection of the sky framed by roof eaves arrives with the lingering water. We listen to the rush of liquid filling a cavity and envision the nearby surface drain. Without prompting, our mind rationalizes these situations in the spatial penumbra beyond the screen frame, thus personalizing the film with our own sensorial pictures. Through Cuarón’s composition of restrained images and expansive sound, he encourages us to be aware of actions that lie outside of our direct view. In doing so, we enter a sonic sphere nested within Colonia Roma, that is staged by his memories and widened with our projections. Rarely does the film wander outside these deeply personal interiors of Alfonso Cuarón’s memories. Even the struggles and cruelties unfolding in Mexico City during the early nineteen seventies are told through the intimacy of interiors. Cleo’s boyfriend, Fermín leaves her seated alone in the theater following the news of her pregnancy, student protestors seek safety from attackers among tables and chairs of a furniture store during the Corpus Christi massacre, even the public space of Mexico City streets suggest a sense of interiority due to the multi-story building facades that flank the narrow roads. The intimate acoustical patterns that parallel the reoccurring visual boundaries stitch together a series of horizonless enclosures. Any originating sound from within such a room reflects around such a room and, in addition to the source, arrives to our ears redirected from the space defining boundaries. Juhani Pallasmaa points out, “[S]ound creates an experience of interiority. … Buildings do not react to our gaze, but they do return our sounds back to our ears.”(2) Interiors, as a multi-sensorial experience, emerge from the enveloping quality of live acoustics and remarkable visuals told throughout the film Roma. Sounds are particular to space. Regardless of type, the compilation of notes arriving to our ears tells a story of the material matter and the spatial geometry sound waves encounter. For example, ambient sounds differ between the hard surface animal-filled courtyard and the soft object book-stacked home. Also discernible is the distinctions in how contextual sounds migrate around a space, for example when placed in the bustling urban street sounds reflect back towards the street in contrast to the open rooftop utility stations facilitating horizontal sound travel. Nuances within the built environment also shape originating sound, often measurable as reflection, refraction, diffraction, and interference. Architect Peter Zumthor writes “Interiors are like large instruments, collecting sound, amplifying it, transmitting it elsewhere"(3) Notes that bounce off of building facades mix with the combustible engines passing in the street alongside footsteps of rubber on hard pavement arrive to our ears with a chorus of distant dogs barks. Cuarón delicately balances the cacophony of sight and sound. He softens our dominant visual sense with stunningly composed black and white scenes told through long continuous shots. He heightens our acoustical awareness with the use of actual sounds created only during filming. The vendor call we hear drift through an open window connects us across the wall to a man singing his merchandise down the street. Cuarón reveals his commitment to the authenticity of ambient sounds in his interview with Maria Hinojosa, “There is no score for the film, all of the sounds and music that is heard come from within the scene that is being shot. The result is a film so immersive that you feel plopped within nineteen seventies Mexico City…”(4) In the historic neighborhood Roma, planned in the early 1900s in Mexico City, building materials create an identifiably unique acoustical DNA. Buildings made in stone, brick, tile, and plaster shape the sonic life that drifts through doorways and open windows. The coupling of close visual and acoustical proximities encourage our eyes and ears to linger in the domestic spaces of his childhood. Roma is striking in that one reaches the city through the story of the home. Familial sonic spaces, such as the kitchen, dining room, bedroom, and washing, are instantly relatable, reminding us of common domestic rituals, only this time housed within the urban bustle of Mexico City. The carefully woven acoustical thread throughout the film is one of many qualities that earned this film awards and Oscar nominations. From the distance of books, photos, and spoken memories one can know stories of infamous paintings, or imagine the dialogue between resident and visitor on the canals of Xochimilco, but few remote encounters open the access to domestic interiors. Years ago I began imagining my first visit to Mexico City, a city I cognitively knew through stories, drawings, and imagery but had yet to walk step by step. The more I read, listened, and studied, the more I was drawn to the inherent contradictions and mysteries. While plane trips escaped me, I Google-toured my way around the urban center enough times to visualize my walk from the Zócalo to Paseo de La Reforma into the Porfiriato neighborhoods. In this fantastical wander, I spent time at the buildings of my architecture training, meandered neighborhood streets, toured monumental structures, savored street vendor flavors, and felt the density of people rushing to make their next destination. Not until Cuarón’s invitation into his home did I realize my wanderings remained fix to the public corridors of Mexico City. Viewing Alfonso Cuarón’s film Roma elevates the most essential component of cities, that of the lives of the citizens where the social intimacy of Mexican families are heard through the timeless sounds of domestic life. To Alfonso Cuarón, a heart felt thank you for sharing a roadmap of your memories so we may reach the city of your time. Pallasmaa, Juhani. 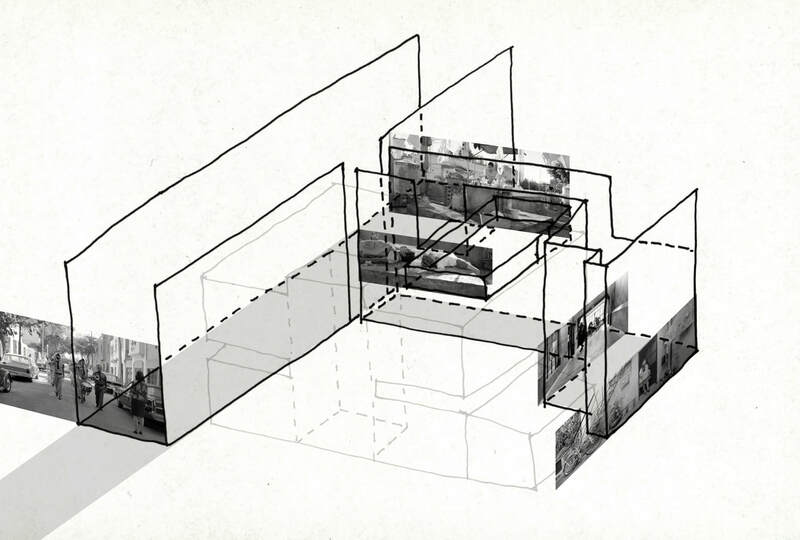 “The Eyes of the Skin: Architecture and the Senses” Wiley & Sons Ltd, West Sussex, England. 2005, pg 49. Victoria McReynolds is an architect and educator at Texas Tech University College of Architecture, and a 2015 Center for Art + Environment Research Fellow at the Nevada Museum of Art. Her research focuses on changing site and light conditions while the Earth rolls into day or into night, and she explores these consequences through composition and design in West Texas and along the Pacific Coast of North and South America.